Map showing the location of Estadio do Maracana in Brazil. I herd it was 344 000 people is this correct? Yes, the capacity was 200,000 seats with fans standing, but one of the upper levels collapsed and they changed it. i once heard that the capacity is up to 200,000.is it true? 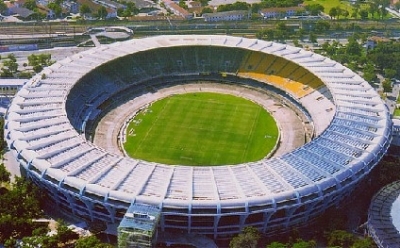 You have the ability to request en edit to any of the details of Estadio do Maracana. You can do this by clicking on one of the options below.